(Left to Right) Congressman Dwight Evans (PA-2), Tambra Stevens (Women Advancing Nutrition Dietetics & Agriculture), Esther Morales (National Women's Business Council), Congresswoman Alma Adams (NC-12), Maia Sciupac (Create&), and Kristina Francis (Esteem Logic) at the Necessity Entrepreneurs Roundtable on Capitol Hill. Congratulations to Jazmin Childress and Melanie Meek for winning the Boss Up! Pitch Competition presented by Black Girl Vision, a BEACON grantee. Childress and Meek are co-founders of Group Trip, an app that makes it easy to plan trips for you and your friends. As first-place winners, Group Trip will receive an equity-free investment, a meeting with an investor, attorney and accountant, a marketing package from Ms. Print USA, and more! The BEACON community is on fire! Seven BEACON-affiliates were recognized as part of DC Inno's 50 on Fire! 50 on Fire honors the hottest companies, organizations and people from across a number of categories, each one operating within or around the city's innovation economy. 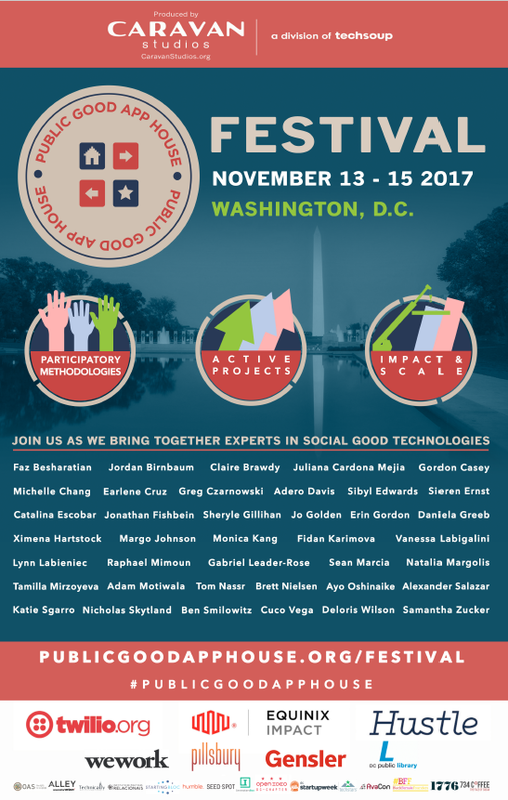 Congratulations to Janice Omadeke (The Mentor Method), Elizabeth Lindsey (ByteBack), Rebecca Yarbrough (The Offline Society+ The Vinetta Project DC), Morgan Hungerford West (A Creative DC), Gira Desai (Aleberry), Monica Kang (InnovatorsBox), Ariel Pasternak (pineapple DC), and Alisha Ramos (Girls Night In)! Natalie Cofield, Founder and CEO of Walker's Legacy, graced the feature cover story of the Washington Business Journal. Walker's Legacy Foundation received a BEACON grant award to support childcare for the Moms Who Enterprise program. Three BEACON community members were invited to Capitol Hill to share their experiences as necessity entrepreneurs. 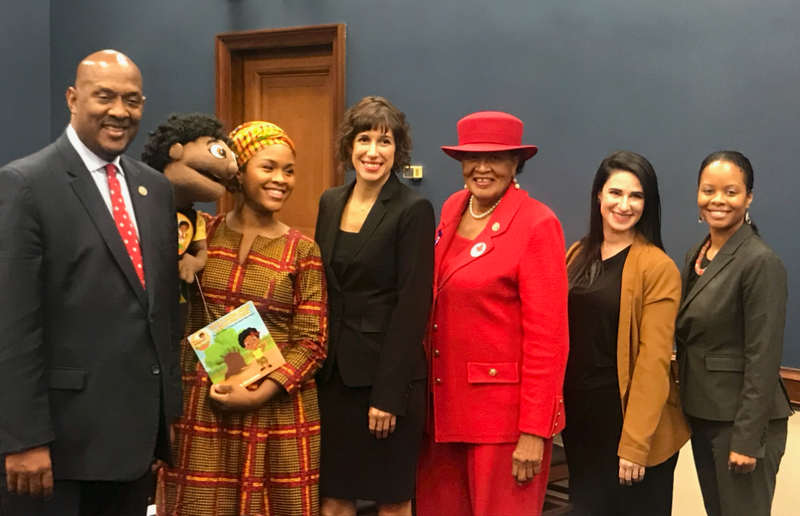 Kristina Francis of Esteem Logic, Maia Sciupac of Create&, and Tambra Stevenson of WANDA, joined Congresswoman Alma Adams (NC-12), Congressman Dwight Evans (PA-2), as well as Esther Morales, Executive Director of the National Women's Business Council. Interested in partnering with us or powering a headshot both at your next event? Submit a Partnership Request Form and we'll be in touch! The Kilner Group's Young Entrepreneur Scholarship Contest seeks an exceptional student with entrepreneurial spirit to award $10,000. Applicants must create an executive business plan summary for an original company. Learn more here. Apply by 11/17. Applications are open for the 2018 HBCU@SXSW program, sponsoring HBCU students for travel and conference participation at SXSW. Apply by 11/30. The Chivas Venture Competition is a global search to find and support the most promising startups with the potential to succeed financially and make a positive impact in the lives of others. Apply by 11/13. Win a 46 x 60” Metro ad featured in the WMATA Metro in Washington, DC for one month + more if selected as the Grand Prize Winner in Femme Fatale DC’s Photobook contest. Learn more and Apply by 11/14. Project Entrepreneur is increasing the number of women building high-growth, economically impact companies. The top 200 applicants will be invited to attend the Project Entrepreneur Intensive in NYC and winners will receive a $10K grant + spot in a five-week accelerator hosted at Rent the Runway. Apply by 11/27. The D-Prize funds new entrepreneurs who increase access to proven poverty interventions. Winners will secure up to $20k to launch a pilot in any region where extreme poverty exists. Apply by 12/10. Office space is available for rent at the NCRC Center for Economic Justice. Click here for more info. 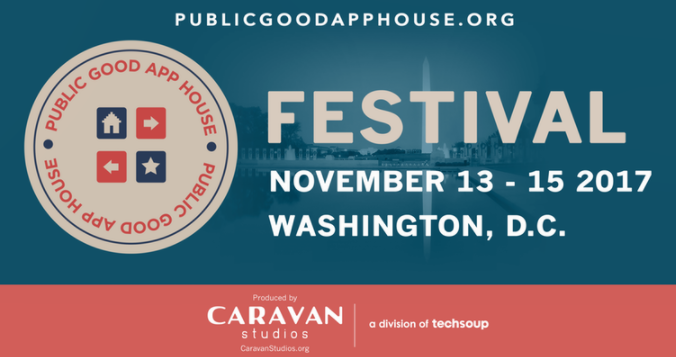 Interested in joining the team that plans DC Design Week 2018 and/or hosting an event during the week? Click here to apply. The United Women in Business Foundation is seeking items for a silent auction as part of their annual winter soiree. Would your business like to contribute? Contact katie.proch@uwifoundation.org for more information. 11.2: "Building Emotionally Intelligent Business: Power Moves for Entrepreneurs" presented by DICE Leadership Group - free with promo code, "BEACON"
11.30: Jenny Kassan presents "Raise Capital on Your Own Terms"
Want to share an opportunity or event with the Beacon community? Email thebeacondc@gmail.com! Did you know the Department of Consumer Affairs (DCRA) Small Business Resource Center provides one-on-one counseling sessions on topics such as obtaining a business license, becoming a certified business enterprise, and more? Sessions are free and offered nearly everyday. Also, if looking to expand your professional expertise, there are opportunities to serve as a certified trainer for the Build a Dream entrepreneurial training program. Click here to learn more and sign-up today! 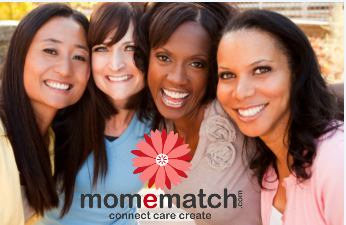 Do you have a women-focused event to share? Upload it to the BEACON website in less than five minutes and reach hundreds of women entrepreneurs in the DC-area!